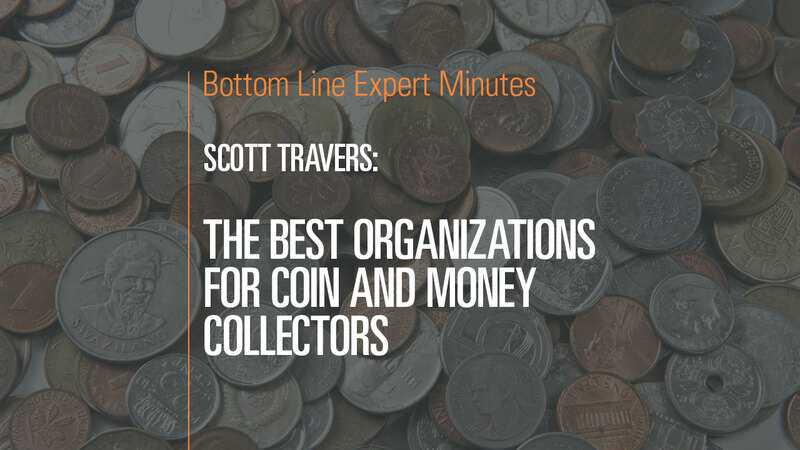 Scott Travers, gold and rare coin expert and author of The Insider’s Guide to US Coin Values, lists some of the best organizations for coin and paper-money collectors to join. First and foremost, he suggests the American Numismatic Association (ANA), a nonprofit that is congressionally chartered and is the world’s largest organization of coin and money collectors. Mr. Travers also suggests the American Numismatic Society (ANS), the Industry Council for Tangible Assets, The Collector’s Society of the Professional Coin Grading Service and The Numismatic Guarantee Corporation of America. He provides the web addresses for each of these organizations.